The Sierra Morena used to be home to the most southern distribution of the Iberian wolf. The Iberian wolves, a subspecies of the European wolf, live in northern Portugal and north-western Spain. However, an isolated pack survived in the Sierra Morena for decades. The last update of the Large Carnivore Initiative for Europe, an IUCN/SCC Specialist Group, lists the Sierra Morena population as extinct. The Sierra Morena is a low mountain range in the south of the Iberian Peninsula. For half of a century these mountains were home to a small iberian wolf population, propably consisting about a handfull of animals. The last breeding pair has been sighted in the area in 2013. However, only three years later, in 2016, an extensive survey could not find a breeding population in the Sierra Morena. A study by Gómez-Sánchez, D. et al analysed the genome of one of the last wolves identified in the Sierra Morena. The researchers also took the genome of an individual of the Iberian Wolf Captive Breeding Programme. These two DNA samples were then compared with other wolf and dog genomes from around the world. The study showed a relativeley low overall genetic diversity in the Iberian wolf population. However, it also detected a diverse population history which includes a past introgression of dog genes. The analysis of the road-killed wolf underlines these findings. 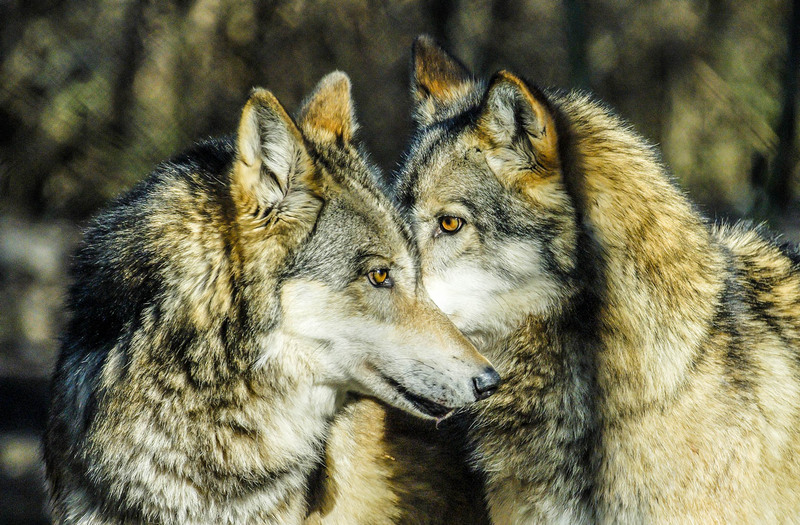 The wolf, killed in 2003, showed a high level of inbreeding. The sample furthermore indicated that about a third of the genome is that of a dog. The isolation of the population explaines both of these facts. The long isolation, causing inbreeding, and hybridisation with dogs lead to significant changes of chromosomal fragments of the Sierra Morena wolves. Inbreeding usually negatively influences an individual’s ability to mate as well as its overall fitness. Consequently, it is not a surprise that the latest population surveys suggest that this population may have gone extinct by now. The Iberian wolf population is, compared to other European wolf populations, rather stationary in its location. Some wolves travel over 2 000 km to find a new home. In the last three decades only three new packs established in Spain. The estimated 2 500 individuals of this population seem to not wander and explore new areas like their European fellows. Only a few individuals migrated south of the Pyrenees in the last decades, such as the Sierra Morena wolves. But without new indivuals joining the southern population, the population impoverished genetically. A big obstacle for the Iberian wolf in exploring new areas, wandering south or north, are the many illegal killings. In particular in rural areas poisoned bait and traps kill wandering wolves. The regional legal killings of the wolves in Northern Spain further hinder the genetical exchange of the populations. The likely extinction of the Sierra Morena wolf population underlines the far-reaching effects of population depletion. The wolf is strictly protected south of the river Duero, which includes the Sierra Morena mountains. However, the killings north of the river minimise the overall number of animals and as a consequence reduce the possibility of genetical exchange withing the overall Iberian wolf population. As recently reported, the Council of Castilla y León now banned the scheduled hunt for 2018-2019. This gives the Iberian wolves a moment to breath. However, additionally to the threats coming from non-existent genetical exchange, such as inbreeding, illegal hunting also threatens the Sierra Morena population.